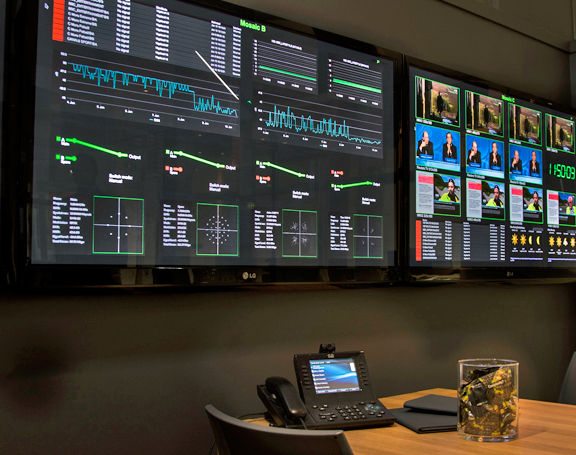 [SatNews] Bridge Technologies creates advanced analysis, measurement, and monitoring solutions for the digital broadcast and telecommunications industries and will launch several important new technologies and products at IBC2015. A remarkably innovative way of exploring monitoring data through time will change the way faults and outages can be analyzed and understood, SLAs verified, and regulatory obligations validated. A dedicated monitoring data archiving solution with an extremely fast setup will completely simplify adding an archived data capability to the monitoring environment. New virtualized probes will allow users to pick and mix the most effective combination of software and hardware monitoring nodes. IBC 2015 will also be the first European showing of the award-winning Gold TS Protection technology that makes monitoring for digital services much quicker to set up, and fault-tracking much faster, more accurate and secure. Bridge Technologies' products and solutions provide an advanced platform for converging digital media services employing stream-based IP packets. Compatible with all major industrial standards, the system is the most comprehensive monitoring and analysis environment available, with probes for DVB-S/S2/S2X, DVB-T/T2, ISDB-Tb, DVB-C/C2, analog RF, ASI, all IP streams including OTT services, and unique portable field probes for RF and IP monitoring.